Entry will be available starting July 1. Keep in mind that space is limited and participation is on a first-come, first-serve basis. Stallion Avenue is a prime marketing showcase for stallions and is open to all breeds. More than 60,000 spectators attended the Midwest Horse Fair – the largest 3-day horse fair in the United States, putting stallion owners in contact with an array of equine enthusiasts. TOTAL PACKAGE VALUE: MORE THAN $2,800! Entry & $100 deposit per stallion are due upon registration with remaining balance due upon receipt of invoice. 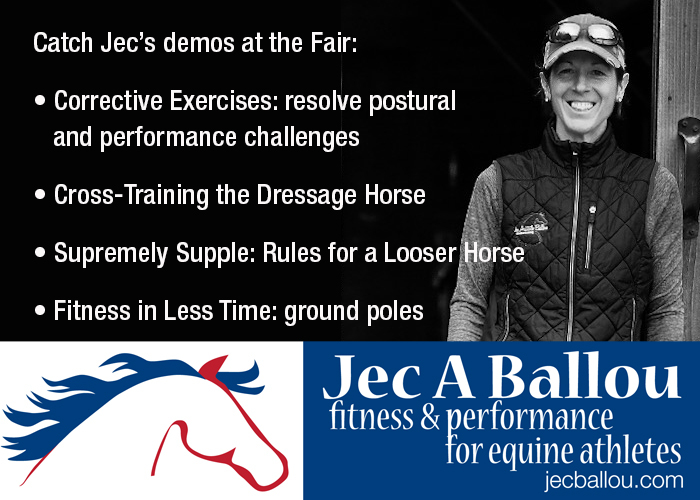 It is the policy of the Midwest Horse Fair that if a scheduling conflict arises due to participation in multiple events, you or your group member must choose which event to attend. Special accommodations and refunds cannot not be granted. Those who cancel last minute (within two weeks of the fair) and/or due to scheduling conflicts are less likely to be selected as participants in future Midwest Horse Fair events. Participants should apply for no more than two events.